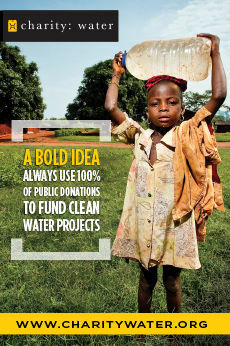 Crossing barriers is an act of courage. 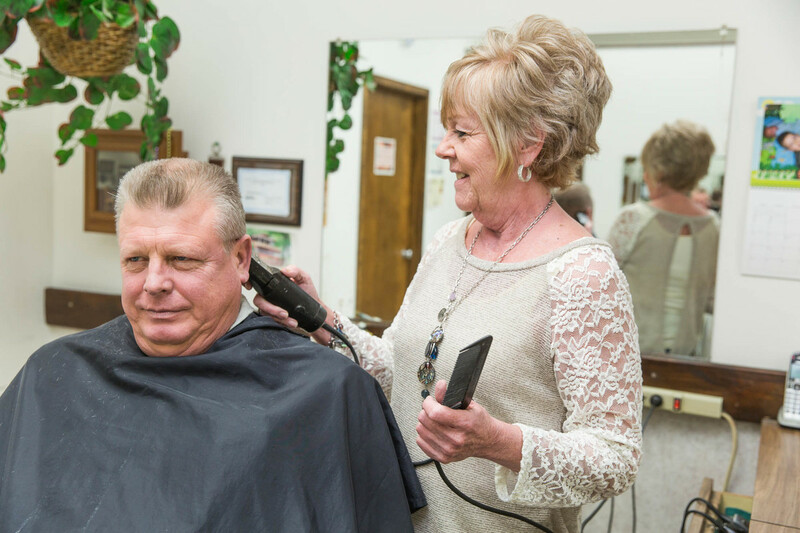 Debbie Goble broke a barrier by being one of the Northland’s first female barbers in an all-male barbershop in the 1970s. 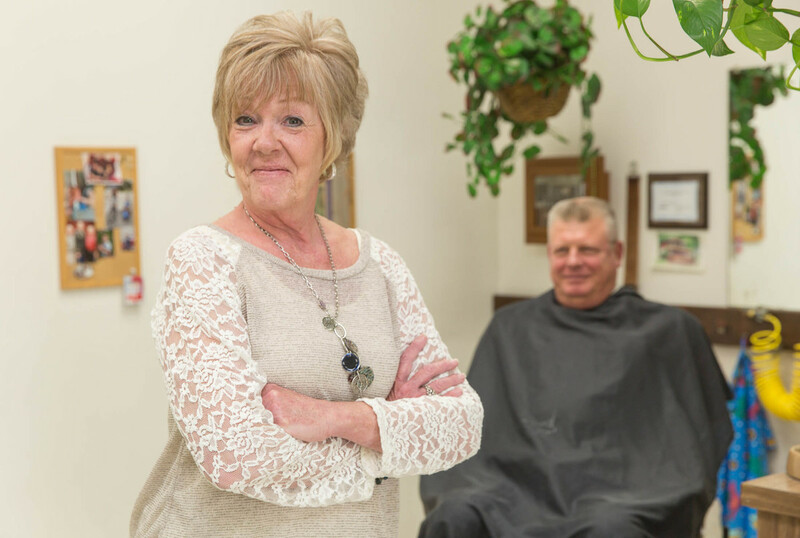 Some customers decided to wait for a male barber to become available while others loved the idea of a lady cutting their hair. Today this persistent redhead has a large cliental accumulated from her 38-year career, including me. Goble, best known by her sense of humor and striking red hair, graduated from Park Hill High School in 1974 and was disappointed to find that female students were not allowed in barber school, a rule that changed in 1978. There simply were few if any female barbers in America until the late 1970s, early 1980s. 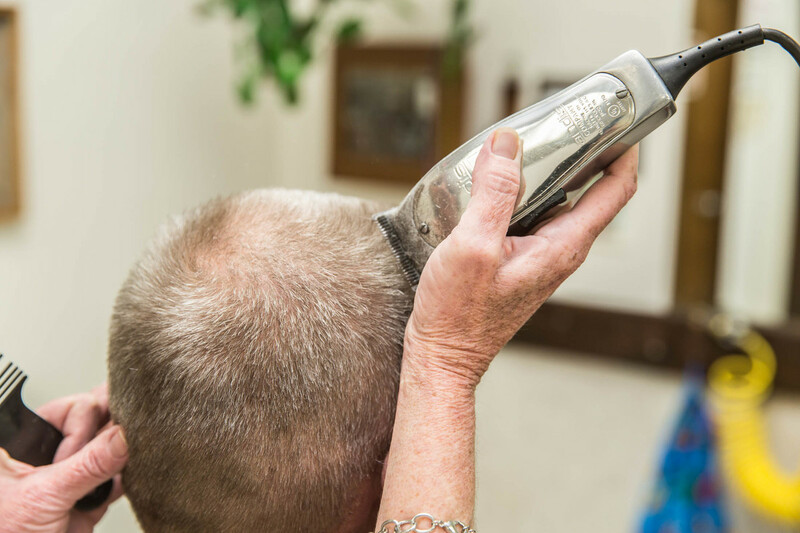 Male barbers were an American symbol as depicted in Norman Rockwell paintings and other venues. An episode of the Andy Griffith Show featured a beautiful lady manicurist in Floyd's Barber Shop and displayed how uncomfortable the male customers became over her presence. America believed a woman didn’t belong in a barbershop as art accurately imitated life. Goble learned how some men felt about her presence in the shop at the beginning of her career. Goble discovered early there were more techniques required for creating men’s hair styles. 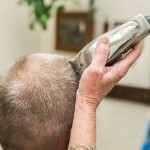 Tapering, razor shaves and other techniques make each head a challenge. Changing hair-style fads require occasionally attending classes to keep up on new trends. Go to a movie this weekend and you might see the most recent men’s hair style. Learning the changing fads means return customers. So attending classes starts at the beginning of each barbers career and continues until retirement. 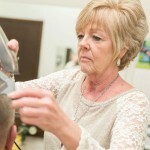 The young barber made her first mistake on a customer in barber school, a lesson she has never forgotten. That was Goble’s one and only major mistake as a barber. 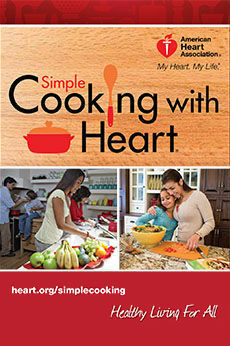 Today she relies on communication to make sure she gives each customer exactly what they want. After all, one mistake is a customer lost forever. 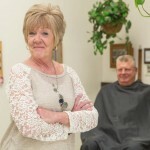 Goble eventually moved back to the Northland for work at Barbers Plus in Platte Woods, Mo. for 15 years with veteran barbers Jim Sackman and Dwayne Rodecap, the original “Big Daddy” of Barber’s Plus. 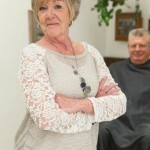 She knew most of the barbers from years past and they treated her very well. 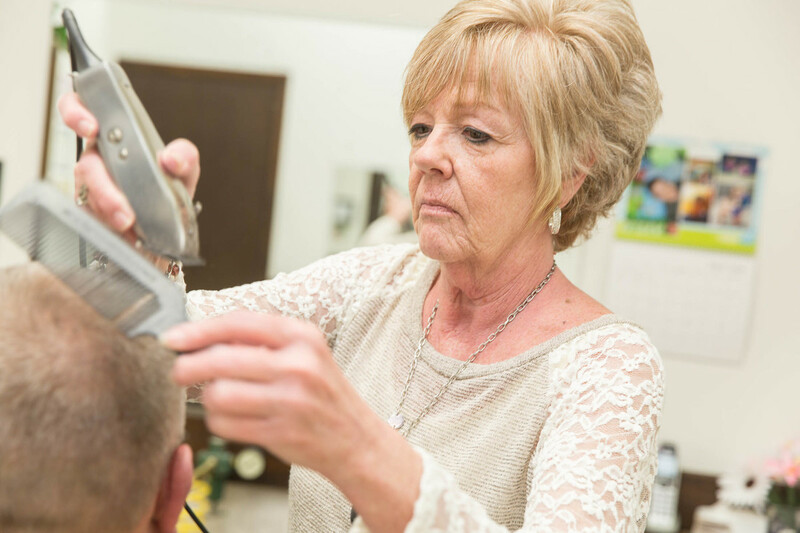 New opportunities eventually surfaced for the talented barber and she reluctantly left Barber’s Plus to teach at her old barber’s school after taking more state board tests to be certified as a teacher. She loved teaching and stayed for two years until a great opportunity at Kansas City’s Crown Center became available with her close friend, Lynne Ryan. 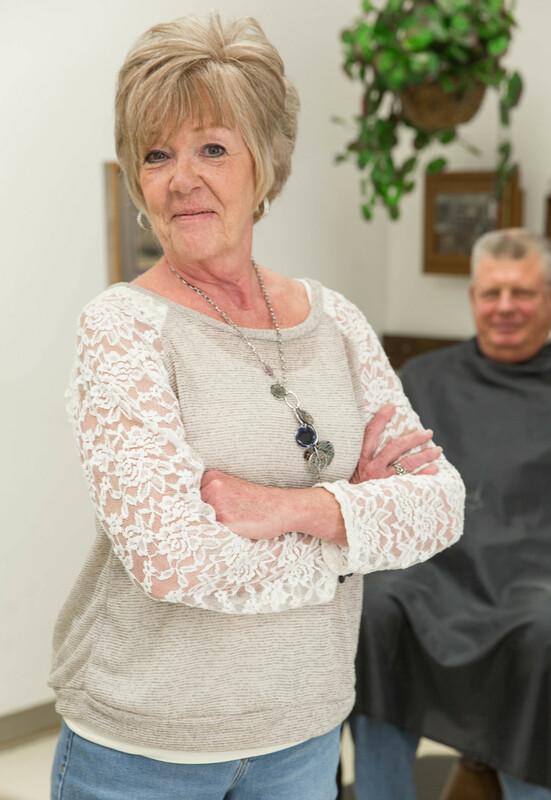 The men at Barber’s Plus love to tease Goble, but they know to back off when she gives them the look that says: “Don’t mess with this redhead, I’m here to stay!” Want a Debbie Goble haircut? Call Barber’s Plus at 816.741.5555.